Wish you had the new rules for modern dating? Trying to figure out how to land a healthy relationship in 2018 feels like an exercise in insanity. The old rules don't seem to apply and when it comes to trying to integrate your faith...forget it. Don't worry. Girl, we've got you covered. 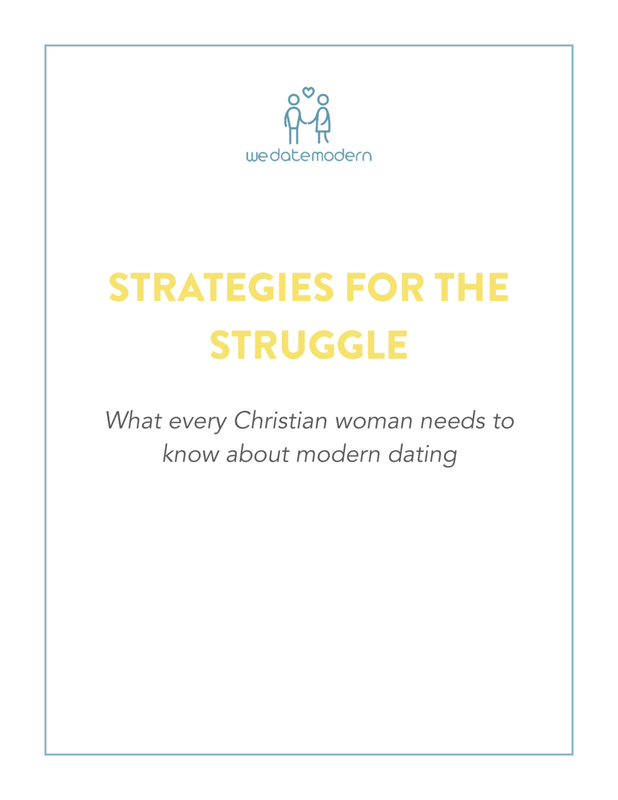 Get our top five challenges Christian women face in modern dating with proven strategies to help you on the path to love. Click below to get our Strategies for the Struggle to immediately jumpstart your love life from a place of health. Meet and connect with other Christians just like you. We want to have honest conversations about contemporary dating. Join our We Date Modern community to break through isolation and renew the culture around dating with us. Plus, our resident relationship expert pops into the community regularly with tips and advice to help you rev up your romantic life! This community is led by a trained couples' counselor and a diverse group of single Christian women who are passionate about modern dating. We can't wait to have your voice as a part of the conversation. Curious about why we're so fixated on dating? Click here to get to know us. Check out the latest episodes of the We Date Modern podcast. New episodes are released every week. Have an idea for a topic you'd like us to discuss on an upcoming episode? Shoot us an email at info@wedatemodern.com to add your voice to the conversation.